SALE! Now $160, originally $175/pair. 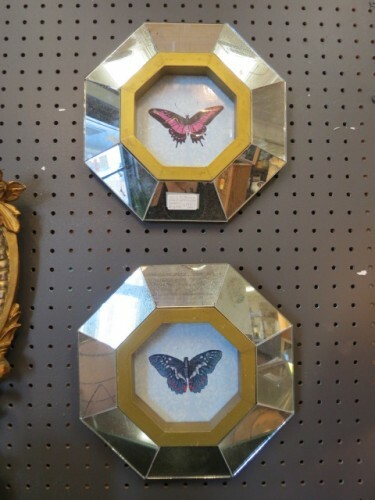 Vintage mirror framed butterfly prints. 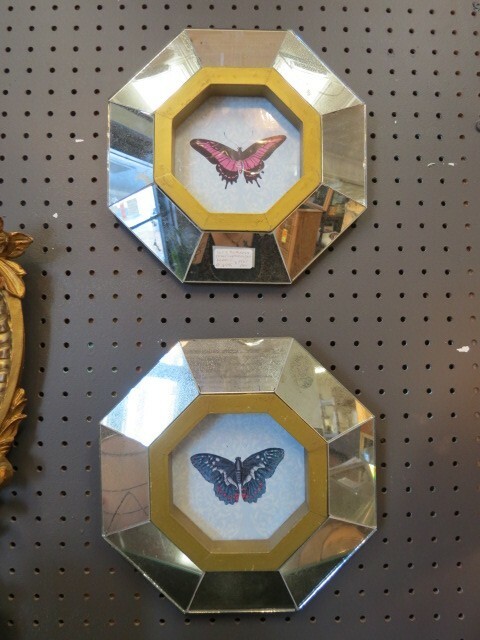 Octagonal antique mirror frames for a pair of butterfly prints. Gold inner frame. 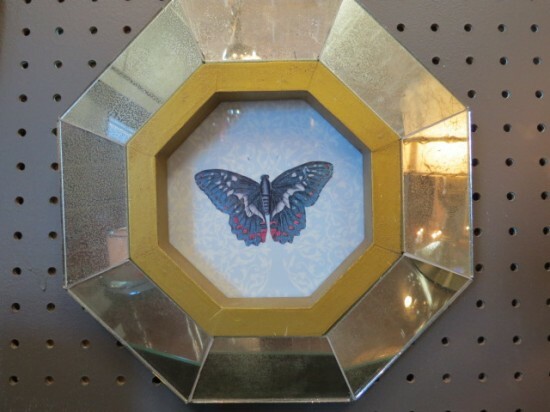 Add a touch of glam to your gallery wall, bathroom or entry! Excellent condition. 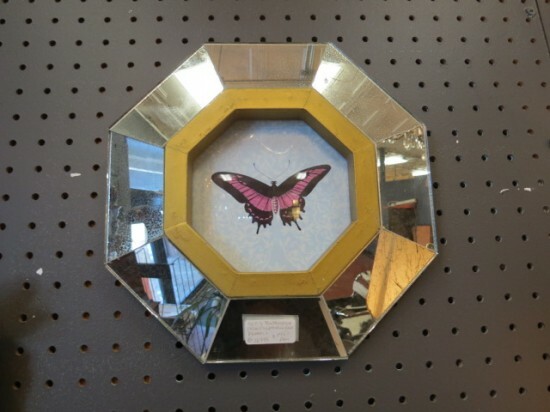 Measures 10 ½” tall and 10 ½” wide.